In a previous post, we examined the legal aspects of dog bite claims. But animal attacks are only one rather small component of premises liability law, an area that also includes slip-and-fall injuries, swimming pool drownings, theme park injuries, and even some third-party criminal claims. Negligence law basically divides vehicle operators into two categories: noncommercial drivers and common carriers. Anyone who accepts anything of value to move passengers and/or cargo from one place to another is a common carrier, and everyone else is a non commercial driver. 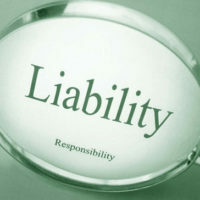 Premises liability has duty categories as well, but instead of focusing on the tortfeasor (negligent actor), the law examines the victim’s status. Traditionally, that examination is a rather complicated system that divides victims into invitees, licensees, and trespassers. Because it is so confusing, many jurisdictions have abandoned the common-law classification system. However, Florida lawmakers have done the opposite, and have somehow managed to make an inherently confusing system even harder to understand. Public Invitees: Park guests and other people who are lawfully on public property to enjoy the free facilities or activities; many swimming pool drowning victims are public invitees. Business Invitees: Most victims are on the land for a commercial purpose, even if no money exchanges hand during their visits. Licensee by Invitation: Most social guests fall into this category, even though they could be considered business or public invitees in many cases. Uninvited Licensee: These individuals do not have permission to be on the premises but they are there for a particular purpose; party crashers are uninvited licensees. Trespasser: These individuals have no permission and no particular purpose for their presence. As for the first three categories, landowners have a duty to either correct hazardous conditions or warn the visitors about such conditions; in the second two, landowners have a duty to refrain from intentional harm (e.g. setting traps). Furthermore, landowners may be liable for the actions of third-party criminals, like street muggers, in the first three categories, but liability never attaches in the second two. There was no direct evidence of knowledge, like a maintenance report, so the owner claimed it was not liable for the victim’s injuries. However, victims can also satisfy this element by establishing constructive knowledge (should have known). Based on the peel’s condition, the court reasoned that it had been in the floor for an extended period of time, and the owner had constructive knowledge of the hazard. So, the longer a hazard exists without remedial action, the greater the chance that the constructive knowledge rule applies. Owners have a duty to keep their guests safe. For a free consultation with an aggressive personal injury attorney, contact Reed & Reed. From our office in Brandon, Reed & Reed helps clients in Tampa, New Tampa, Plant City, East Hillsborough County and throughout the state of Florida.